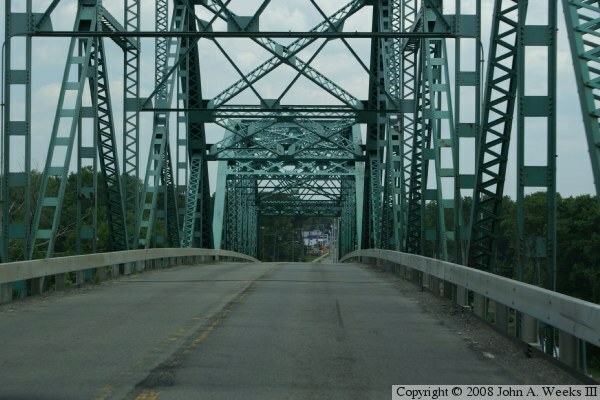 This bridge is on the endangered list. 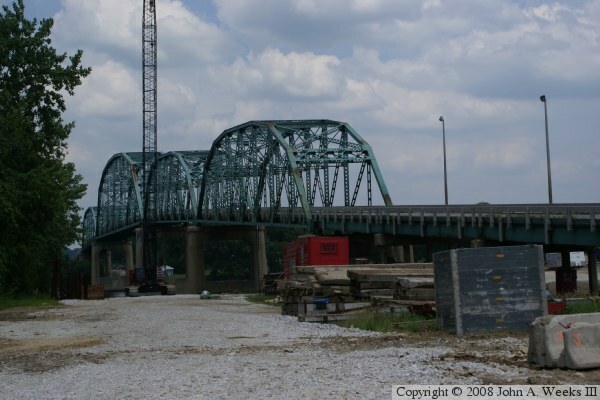 A new bridge is under construction as of 2008, and this old 4 span through truss bridge will be removed in a few years. 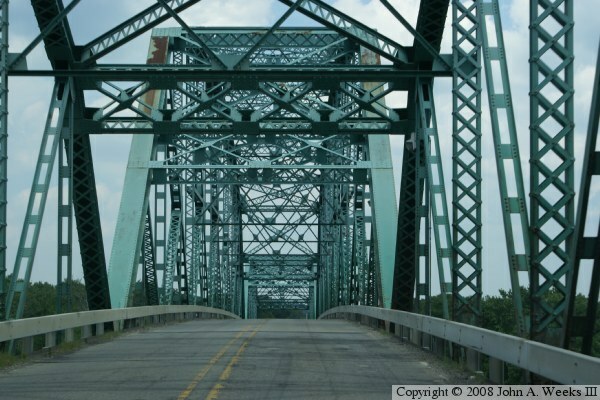 It is a shame to lose yet another truss style bridge. It is unfortunate that they are so expensive to maintain and cost-prohibitive to expand the narrow lanes. 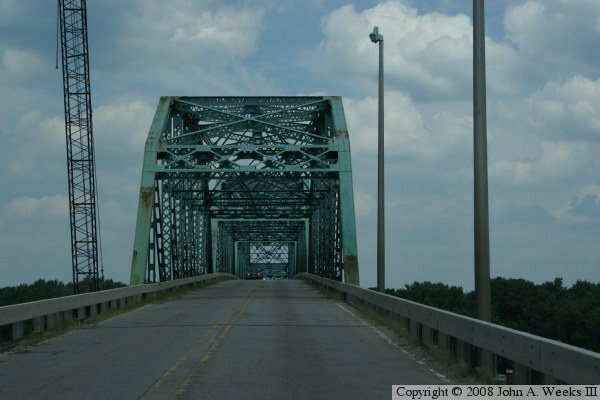 The only thing that can be said is to get out and see this old bridge before it is removed in 2010. 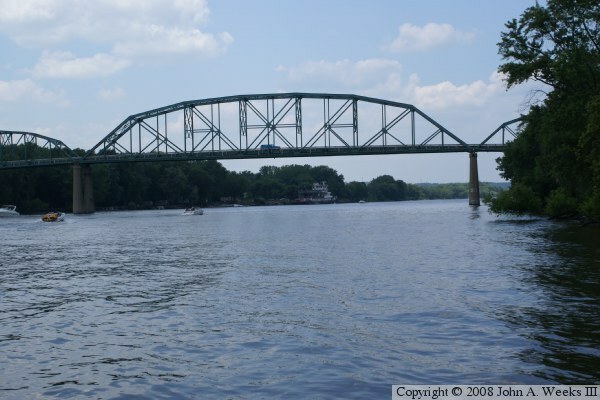 The village of Seneca was incorporated in 1865, and the first bridge across the Illinois River was built in 1866. 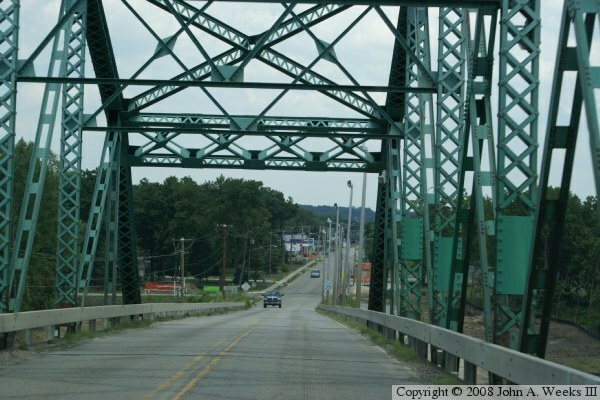 That bridge collapsed, so an iron bridge was built in 1877. 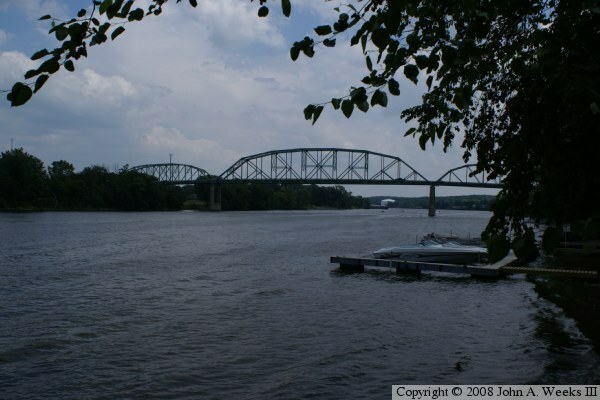 That bridge was replaced in 1932 by the current highway bridge. 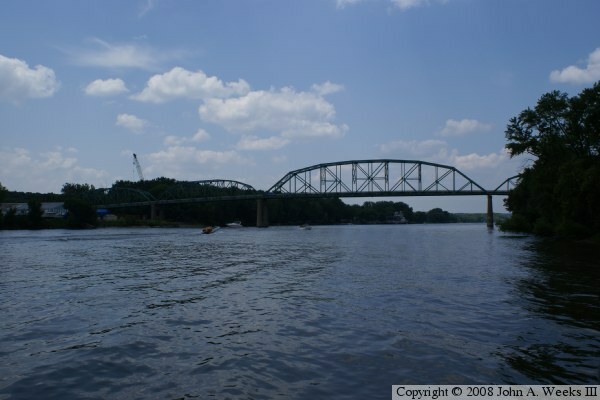 The new bridge will be a 2 lane structure very much like the IL-351 bridge at Shippingsport. It will feature high strength steel girders with a concrete deck. The deck will be 40 feet wide, enough room for two 12-foot lanes, shoulders, and a walkway on one side. The walkway will be separated from the bridge by a concrete barrier. 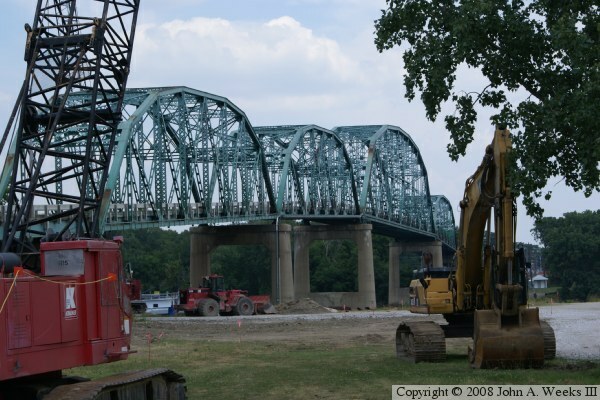 The main span is expected to be 350 to 375 feet. 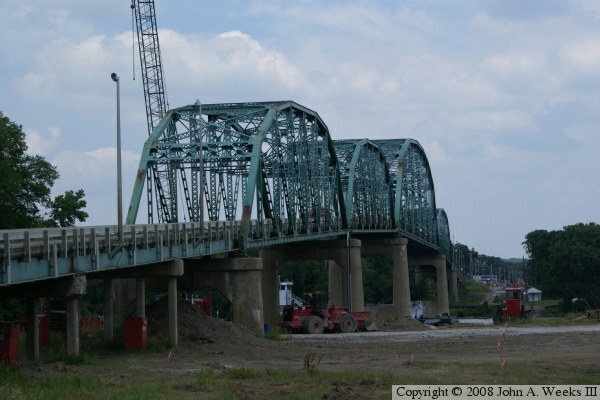 The bridge is expected to cost about $20-million.